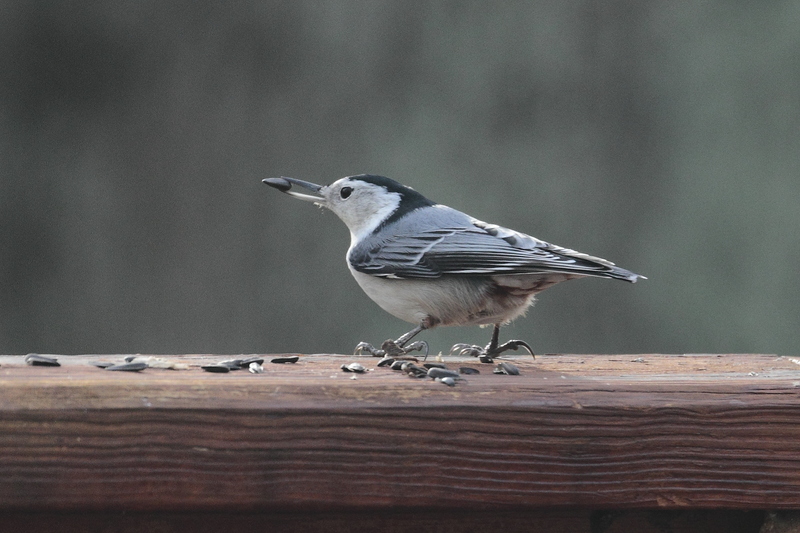 This nuthatch came to our feeder in December and took a sunflower seed to take away with him. Nuthatches are known to hide seeds in the bark of trees, then use their bills to break them to make the edible part come out, as if it were an insect. Nuthatches are my favorites, they are so easy to recognize hanging upside down while breaking there seeds against the tree. Excellent timing catching the seed in his beak. I’m not sure I have the patience for a shot such as this. Nor the quick hands! Great job. Very good observation about the bill! Thank you, Doda. What a beautiful little bird …! – what a delightful photo !!! Beautiful capture! Thanks for the information, Hien! Thank you, Amy, as always.